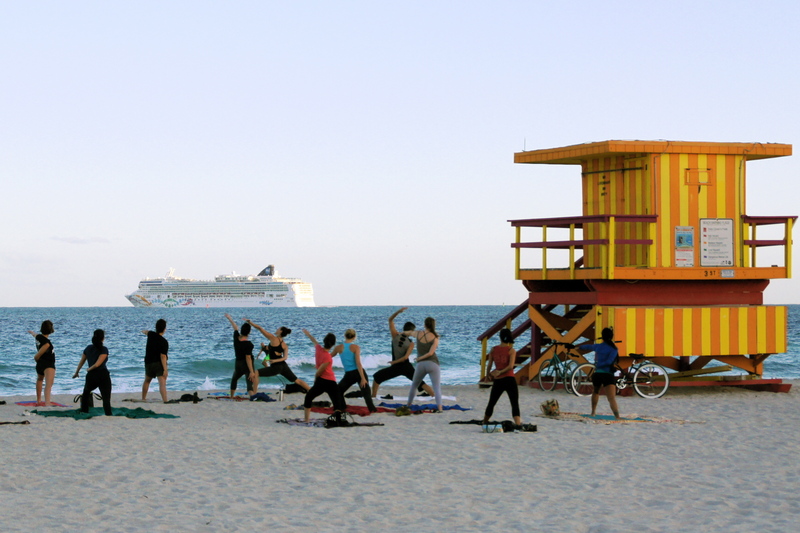 The 5th Street Guardhouse– beach yoga and a cruise ship leaving port. The hotels and other buildings in the South Beach art deco district of Miami Beach, Florida, get all the attention. 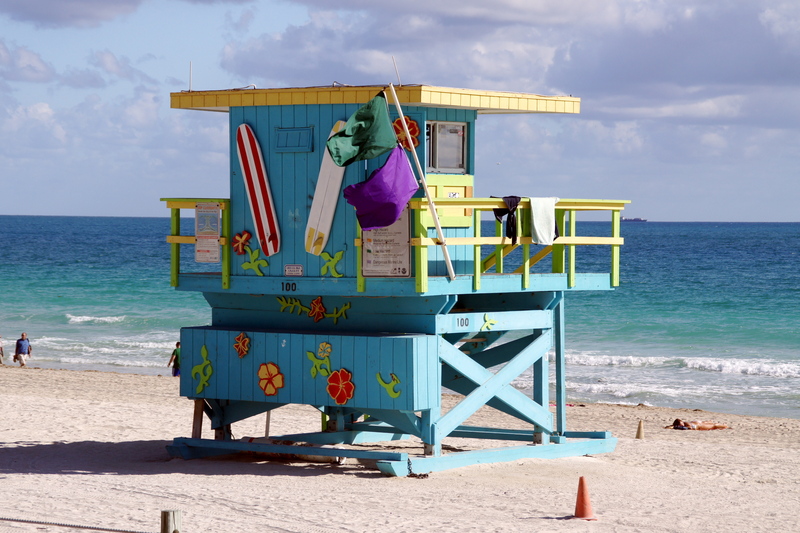 But if you’re there, you should lift your head up from your beach chair and take notice of the collection of whimsical and funky lifeguard stations that extends from the jetty at South Point to 74th Street. 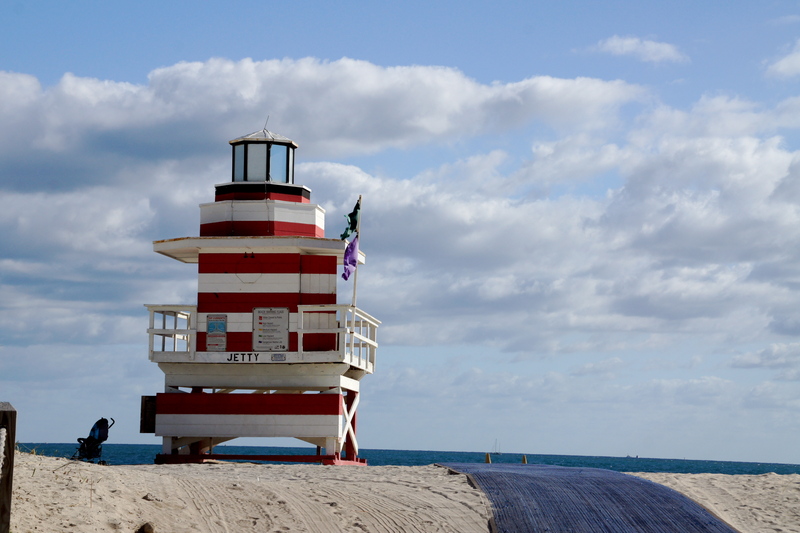 If you can’t make it to South Beach, take a look at photographer and former newspaper journalist Susan Russell’s book, aptly titled South Beach Life Guard Stations to see what I’m talking about. While there have been elevated lifeguard stations here almost since the area became a resort, they weren’t so interesting until Hurricane Andrew swept most of them away in 1992. They were rebuilt with panache typical of South Beach. They serve a very practical purpose for lifeguards, but also make great landmarks when you stroll the beach and an excellent place to meet for beach yoga at sunrise. Here are a few of more…. 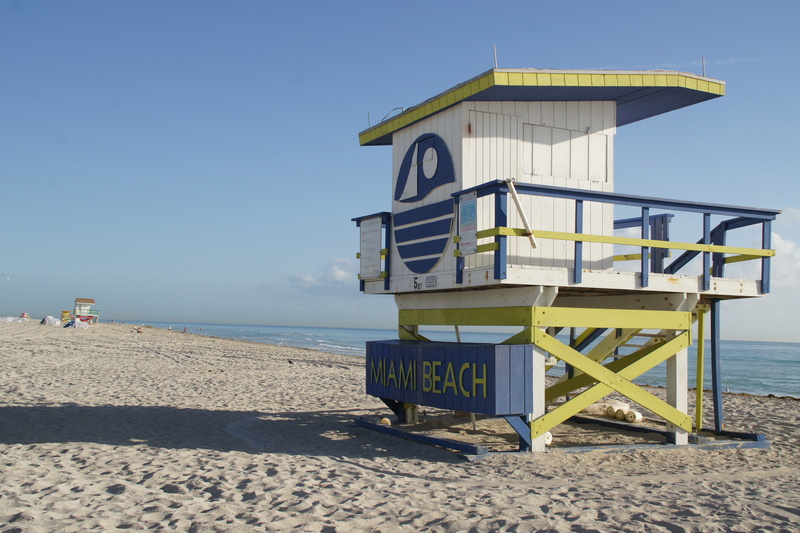 The 5th Street Guardhouse, with a version of the Miami Beach logo.